My daughter, Mikaela Aschoff, used to go to Seven Lakes High School in Katy, Texas. She is currently on her 3rd year of homebound from a very unexpected illness called Dysautonomia that started abruptly when she went to her Freshman year homecoming dance. With strength, courage and determination, she has not let this disabling condition stop her from starting a charity to help fellow hidden teens. As her mom, I am amazed not just by Mikaela (who I think is pretty great in my book! ), but also by today’s teens and how many actively pursue volunteering opportunities, environmental causes, etc. So many of the schools now have amazing clubs focusing on volunteering in their community and the world. Youth groups at church travel near and far to do mission work. While all these volunteer acts are blessings, remember not all world changing events are BIG… they start with reaching out to one person and changing their day. What happened to that fellow student who used to be in your class. Has it been 2 months since you seen them? 2 years? Last you heard they were sick, but you were not sure you understood their illness. Years may have passed by. Did they move? If they suffer from Dysautonomia or another life changing hidden chronic illness, more likely the answer is no. They are still there. In your community. In your neighborhood. They understand that friends move on and “out of sight out of mind”. But, sometimes the mental pain of an illness hurts more than the physical symptoms. Sometimes they just want to forget for a minute, be with friends their age… to be REMEMBERED. Change the world by reaching out to that one person. Don’t be nervous to ask about them. Don’t be afraid to speak about the obvious illness. Message them on Facebook. Be “old fashion” and send them a letter in the mail. Want to help even more hidden teens? You can also volunteer with Mik’s Hidden Hearts Alliance and help with many of our outreach programs including our card writing campaign to help these teens to not feel hidden. Start by liking our Facebook page (link here) and contacting us through our website to get on our teen volunteering list. We will keep you up to date with various opportunities. Thank you for reaching out to the hidden. 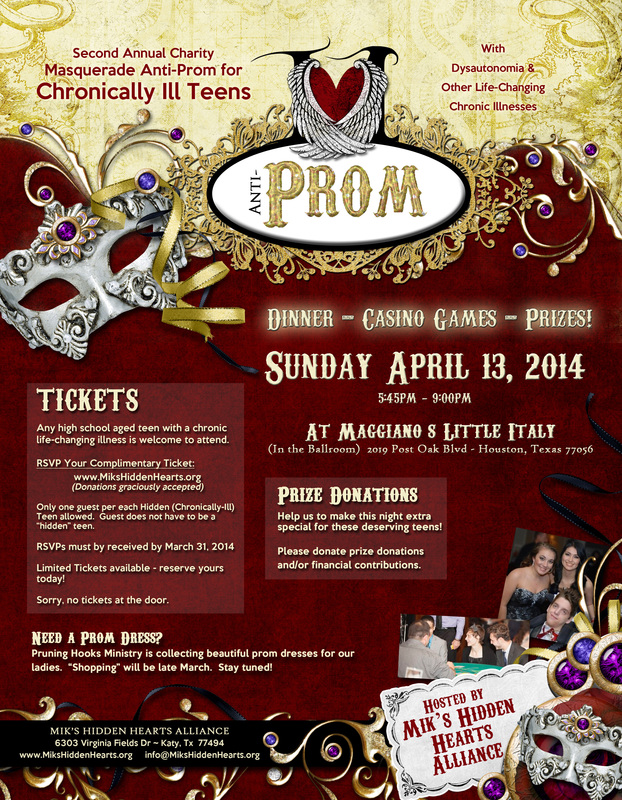 With your help, we can shine light not only on Dysautonomia, but recognize these strong courageous teens as well.